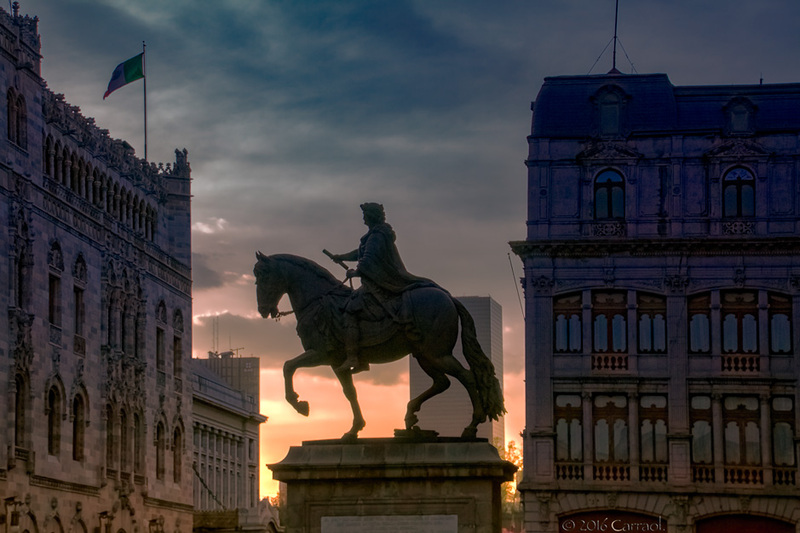 The equestrian statue of Charles IV of Spain (also known as El Caballito) is a bronze sculpture cast by Manuel Tolsá on August 4, 1802 in Mexico City, Mexico in honour of King Charles IV of Spain, then the last ruler of the New Spain (later Mexico). This statue has been displayed in different points of the city and is considered one of the finest achievements of Mr. Tolsá. It now resides in Plaza Manuel Tolsá. Beautiful a statue and photo.